Craft beer production is growing, but at its slowest pace since 2003. 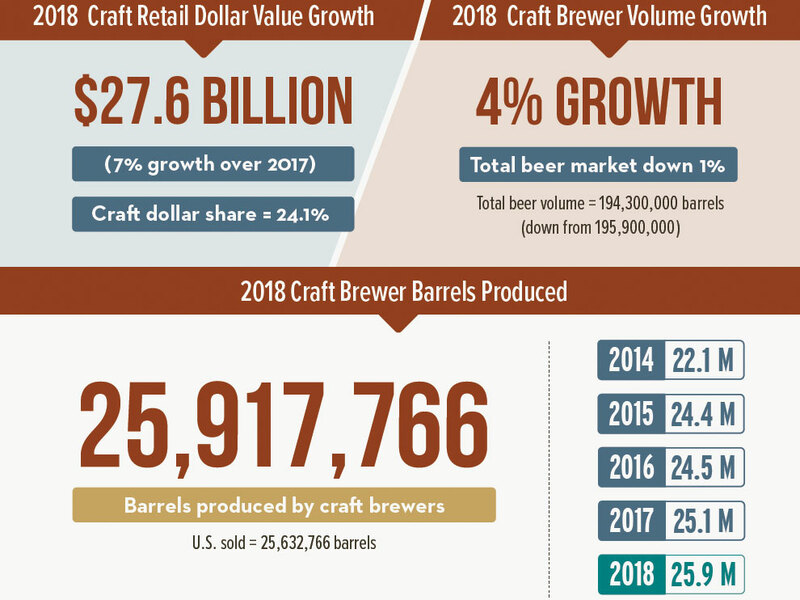 Today, the Brewers Association (BA), the trade group for independent craft breweries, released its annual growth report. 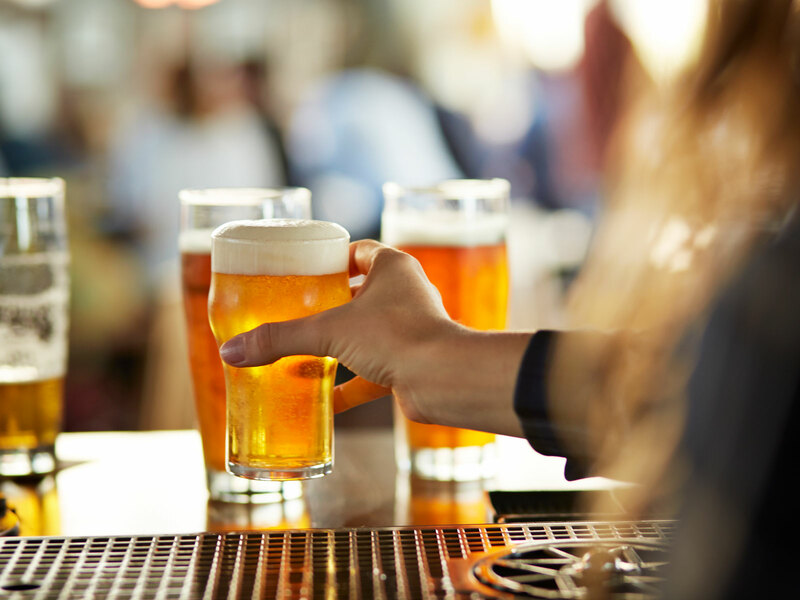 The findings reinforced two trends that have become a common refrain in recent years: The number of breweries in America continues to grow, seemingly unabated, while the volume of craft beer production is seeing growth slow. The good news for the craft beer industry is that craft beer (and specifically beer — the BA changed its definition of a “craft brewer” to allow in producers of other beverages this year, but the stats still only track the suds) is still growing: up four percent in 2018. That’s the lowest level of growth in a long time — since 2003 — but it also bests the beer market overall which saw volumes decline one percent last year. 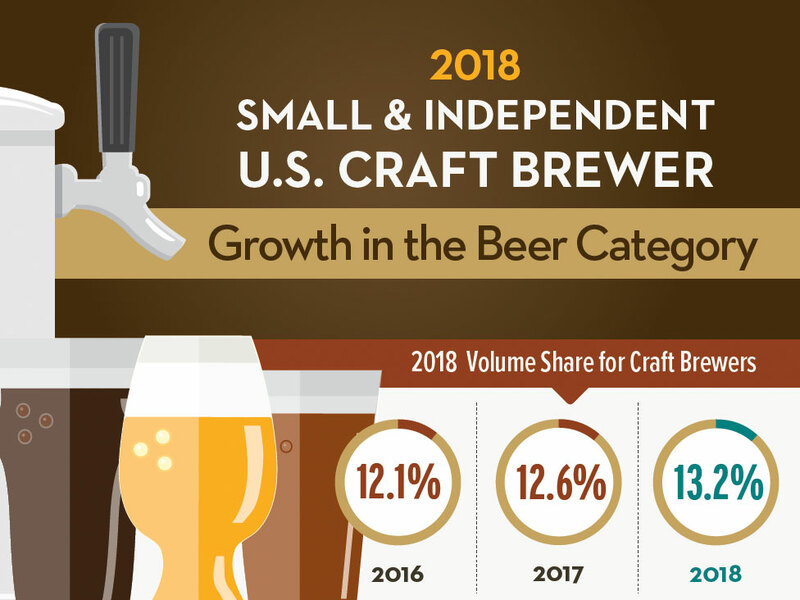 As a result, craft beer claimed its largest percentage of overall American beer volume ever: 13.2 percent — a full percentage point increase from 2016. Of course, the question becomes how is the number of breweries continuing such a rapid ascent while production growth slows? The answer is in the math: The smallest craft breweries are driving the production increases while mid-size craft brewers are struggling with “static” production levels according to the BA’s Chief Economist Bart Watson. That said, small brewers aren’t totally in the clear. Though the overall number of breweries increased by 856, that comes from 1,049 openings versus 219 closings. 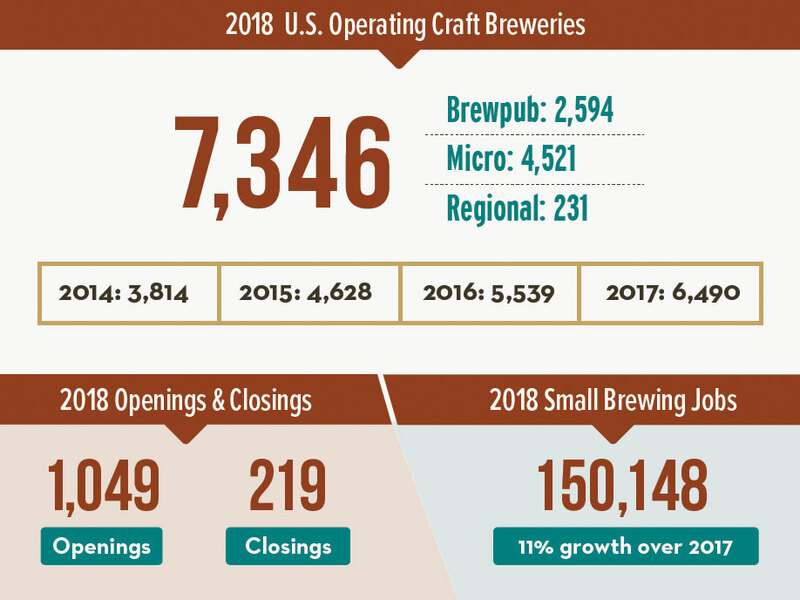 Last year, 997 new breweries opened while 165 breweries closed — meaning not only has the number of closings increased, but the rate of closure has inched up as well. Still, speculation continues about whether all these breweries are creating a “craft beer bubble.” This data would seem to show that the number of breweries isn’t in danger; rather it’s bloated breweries with unrealistic business models that are most likely to pop.